What’s better? To substitute historical windows with new, low-emissivity windows and save energy? Or to keep the windows with their historical character, not conserve as much energy? The argument rages between preservationists and designers-environmentalists, but there’s a middle ground: repainting historical windows to the identical functionality as new windows. And there’s a substantial argument for saving them. Not only do they include personality that makes a home distinctive, but old windows are generally thicker and last longer than the current windows, says that the National Trust for Historic Preservation. Plus, as preservationists prefer to mention, the greenest building (or window) is the one already constructed. No trips to the landfill. No resources utilized. Have a peek at a few of the ways that you can update your windows for energy efficiency, for a win-win circumstance. Historic windows are usually wholly unique, like this elaborate stained-glass entry in a historical Chicago home. It’s not likely to locate similar windows in the modern recently constructed homes. If you are confronted with leaky, old windows, Heritage BC, Canada’s version of the National Trust for Historic Preservation, suggests beginning by repairing the present frame, sash and glass. Windows may also be draftproofed and insulated with proper caulking and weatherstripping materials. To get wood-frame windows, Natural Resources Canada proposes using a quality, self-adhesive plastic V-strip weatherstripping. The windows in this North Carolina home were restored by architect Anthony O. James. Adding indoor or outdoor storm windows and heavy drapes will cut the load on your heating and cooling systems. The U.S. Department of Energy says that storm windows do not add to the insulating properties of single-pane windows, but they do decrease the motion of air in and out, thus reducing cooling and heating costs. 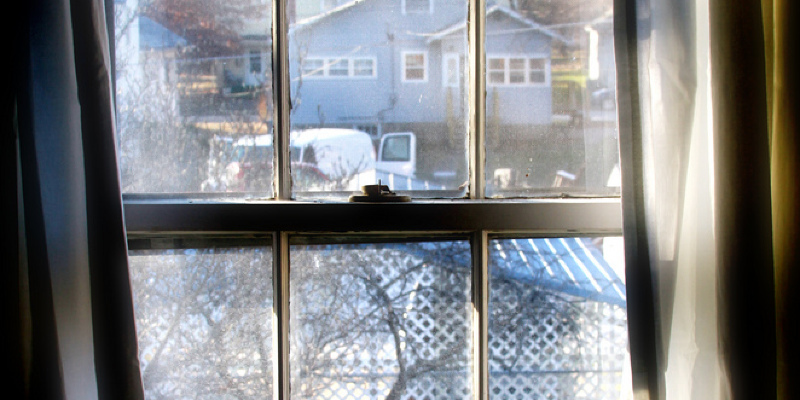 Adding extra locks to window sashes can help tighten a window’s seal, preventing air inflow and outflow. The windows on this home in Portland, Oregon, by Emerick Architects, are worth saving. Inform us : Have you got historical windows in your home?